I get a lot of questions about adding honey to handmade soap. A lot of soap makers recognize the benefits of honey in soap, but want to know when to add it and how much to add. Soap Benefits: Honey adds to the lather, giving you a nice bubbly soap bar. 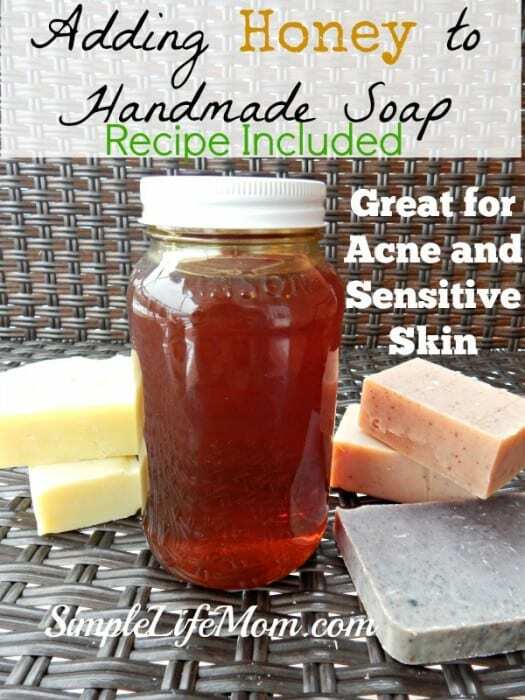 A general guideline is to add 1 Tablespoon of Honey per pound of Soap you are making. Please use raw honey. Honey you buy at the grocery store has been found to have more corn sugars in it than raw honey. It also has the pollen removed, removing most of the benefits that you would obtain from using or consuming honey. 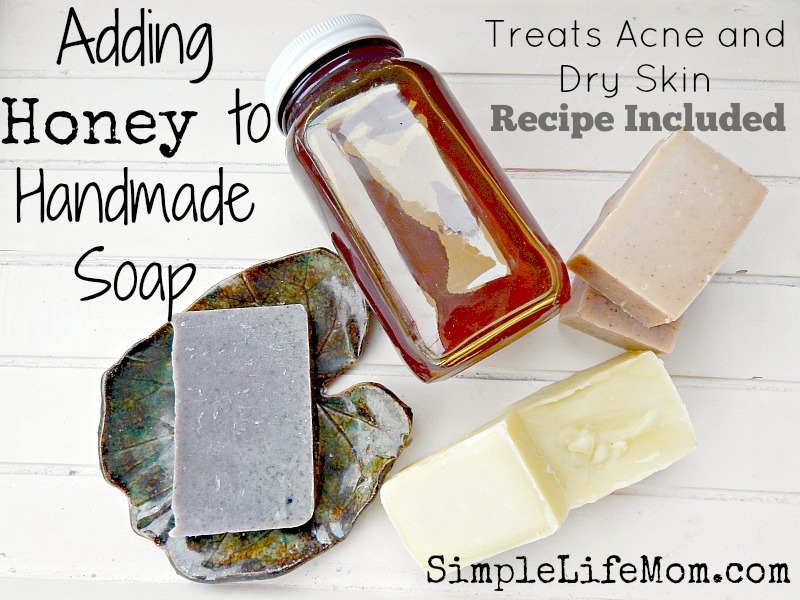 Example: If you are making a 2lb batch of soap you may use 2 Tbsp of honey. If your recipe calls for 11 oz of water, remove 1-2 of those ounces to use in the honey. This will make it thinner and easier to incorporate. You do not want a chunk of honey sitting on the bottom of your soap. So, dilute it with a little bit of water (that you have weighed) and remove that amount from your total water amount in the recipe. When do I add the Honey? Just as with adding milk to soap, there are various methods of adding honey and when. I have done it in two ways and both turned out great. Add at very light trace – dilute with some of the water from your recipe and add at very light trace. Add to Oils – without diluting it with water, add your honey to the oils and blend well. Make sure you blend it very well or it WILL be at the bottom of your soap when you go to cut it. Honey can make your soap go to trace faster, so watch it carefully! The sugars in Honey, just like the sugars in milk, will cause your soap to darken slightly. Combine olive oil, coconut oil, tallow, shea, and castor oil in large pot and heat until all is melted. Turn off the burner and cool to 100 degrees F.
Combine 4 Tbsp raw honey and 2 ounces of water until combined. Add 9oz lye slowly to 23oz water (never water to lye) outside - even in the winter. Never combine in your house! Do not breathe fumes! Cool to 100 degrees F.
Add lye water to oils and mix with a hand or stick mixer until it begins to thicken (on 5min. off 5 -10 min.). Add Raw Honey and essential oils and mix. Watch carefully. It may go to trace quickly. Pour into mold and incubate for at least 24 hours. on the honey soap recipe. can the tallow be replaced with a non animal based oil? Put in the recipe, make some changes, and pay attention to the next page (after hitting view or print recipe). The bottom will show you the hardness etc. so you can adjust again if necessary. That page will also tell you if you need to change your lye amounts (great tool). Soap making is on my to do list this year. Thanks for the post. Great Gregg. Let me know if you have any questions. Thanks for posting this recipe. I’ve only made soap once before, and it’s been years since I did it. I’ve been wanting to try my hand at it again and I love this recipe. The use of honey in it for it’s moisturizing properties is very smart! Thanks for sharing! You’re welcome. Let me know if you have any questions once you get going. I bought some of your soap and bar shampoo , absolutely love them . I am wanting to make soap now . This is some good information to know about if you want to have good soap in your home. I love the idea of having honey in my soap because like you pointed out it helps with skin problems. I wonder if you can add it into recycled soap. It can be tricky to add extra ingredients to soap that has already finished saponification. You can probably get away with adding 1 tsp per pound, but any more may make your soap soft. 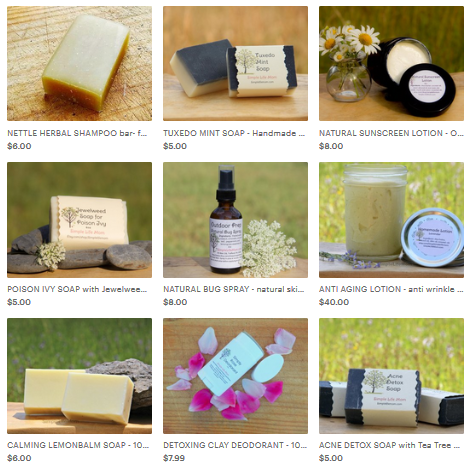 Must you wait 4-6 weeks for the soap to cure before using or packing it ? Yes. The saponification process varies greatly per recipe or even batch of soap. It can take 1 week to 4 weeks to finish. To be sure, wait 4 weeks. Anything after that is to make sure the bar is hard so that it will last longer. We use our honey in our soaps quite successfully. 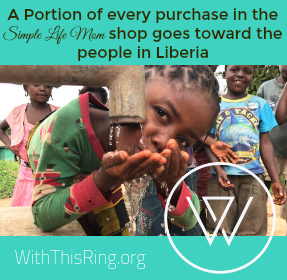 Visiting from the Blog Hop ? Thank you, most usefull especially on essential oils and colouring. this site is great for first-timers, hope to start this project for the holidays or before the year is done.